There is an alarming rise of support for far-right parties and movements in Europe. They are generating xenophobic and racist sentiments against Muslims, Roma, Jews, migrants and refugees, and all those who are regarded as „different”. More worrying, is that far-right movements are often very well embedded in societies. Mainstream parties, instead of standing up unanimously to promote human rights, are shifting to the right in order to capture votes. 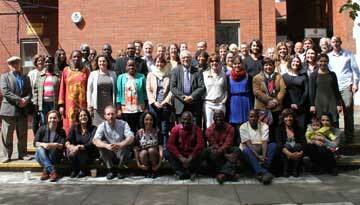 In the current situation, it is becoming crucial all over Europe to strengthen and extend a strong network of citizen organizations which are grassroots, involve local people, address local problems, but at the same time show a willingness to shape national policies in solidarity with minorities and people living in poverty. In this political climate, we need organizations which are politically conscious to promote the value of welcoming and inclusive communities and to build democracy from the bottom up by taking action and holding local — as well as national — decision-makers accountable. 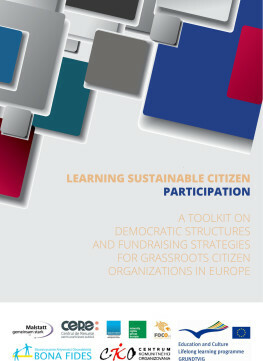 Over almost the last two years, six organizations in six European countries have carried out concerted activities to increase their knowledge of how citizen organizations can build democratic structures in the framework of the European Commission’s Grundtvig Lifelong Learning Programme. In this publication we share eight examples of community engagement from the six project countries. There are examples of implementing community organizing, community development, or other forms of community intervention, as well as examples of grassroots fundraising. Some of them are encouraging in their victories, some of them are instructive in their challenges, and all of them are examples of community members taking action at a local level to make a change. Please read more about the programme here.